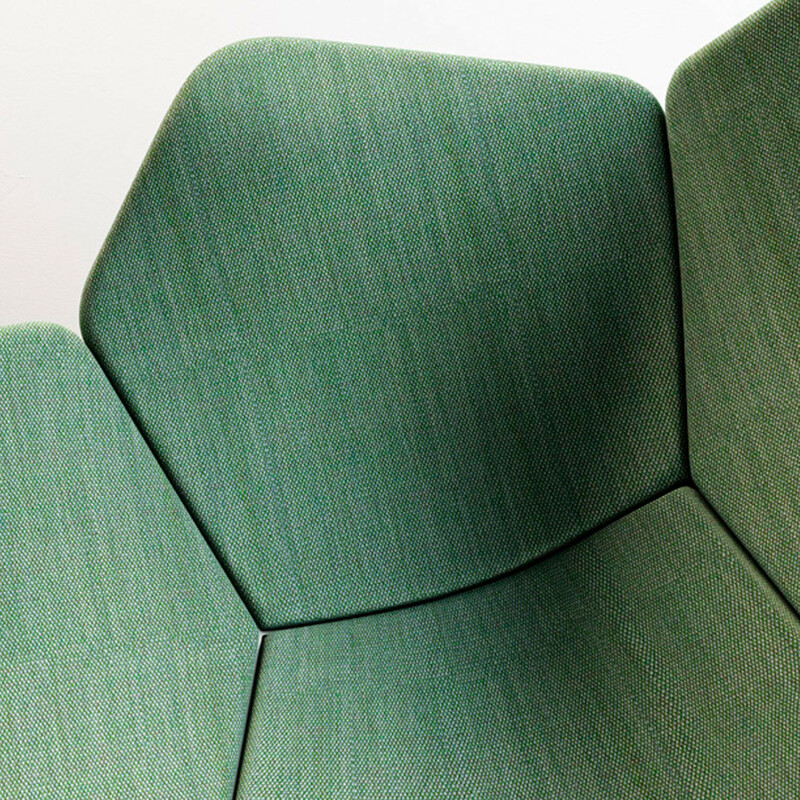 Atoll Chaise lounge chair evokes four organic shape like islands that join together to create an enveloping and comfortable shape. 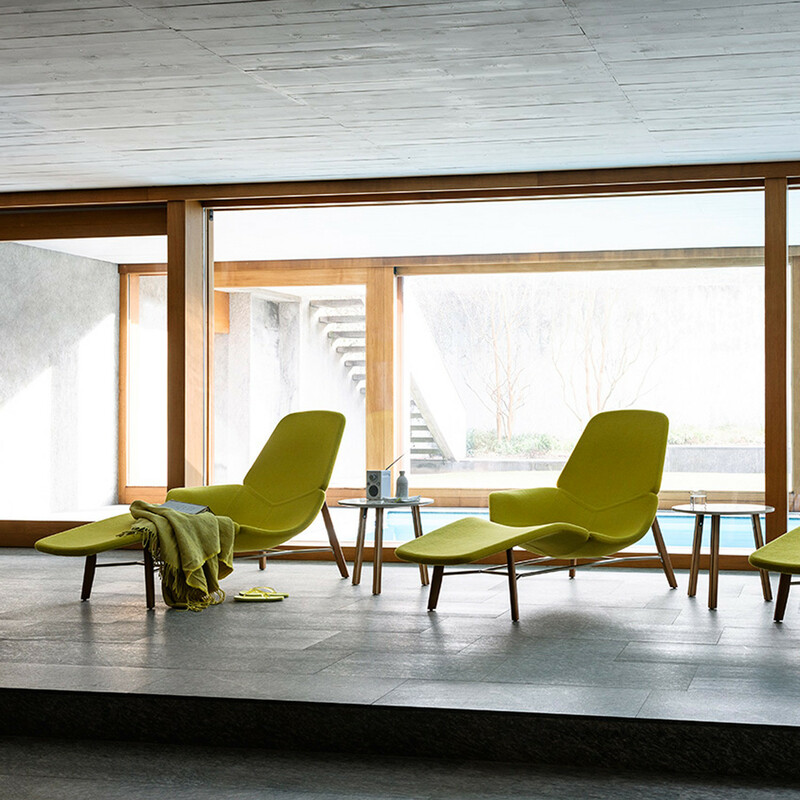 With an armrest on only one side, Atoll chaise lounge offers a variety of lounging options thanks to its surprising asymmetrical style. 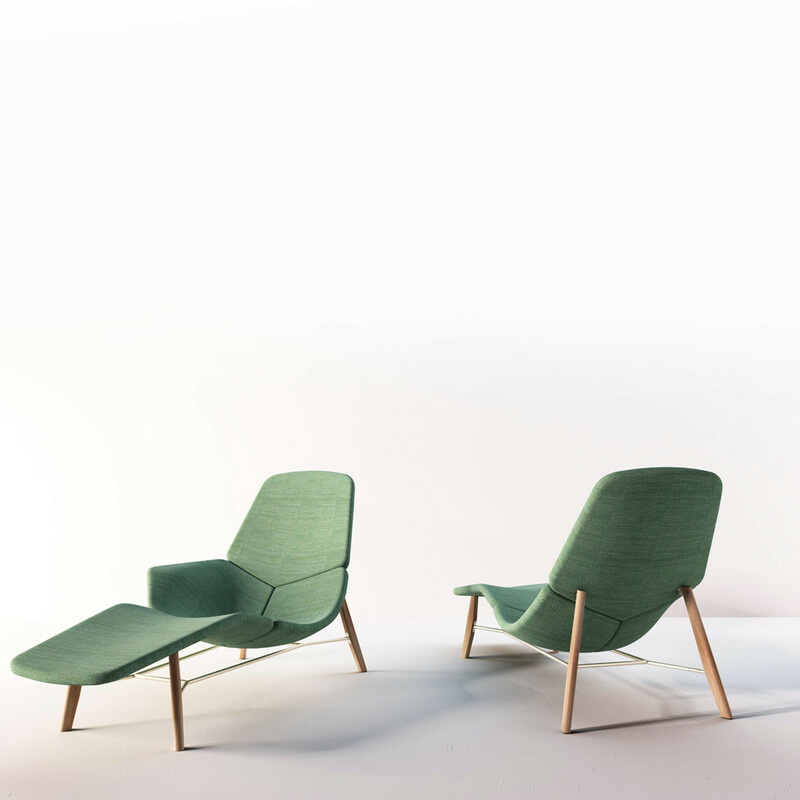 Its ergonomic curves are supported by a metal structure framed by four wooden legs. 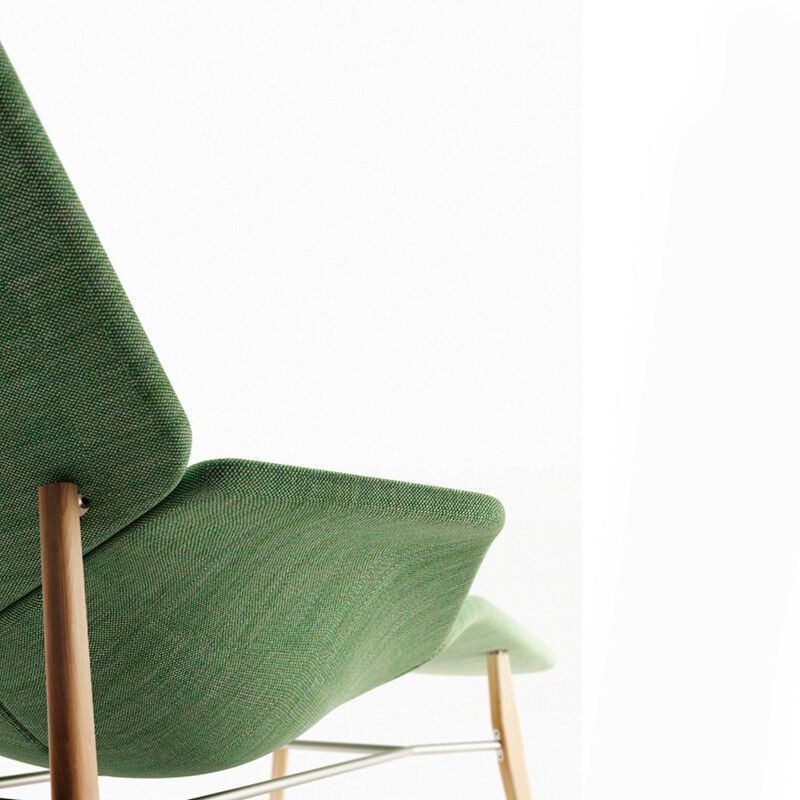 Atoll features a fabric-covered foam, wooden legs and a metal frame. Designed by Patrick Norguet, 2014. You are requesting a price for the "Atoll Chaise Longues"
To create a new project and add "Atoll Chaise Longues" to it please click the button below. 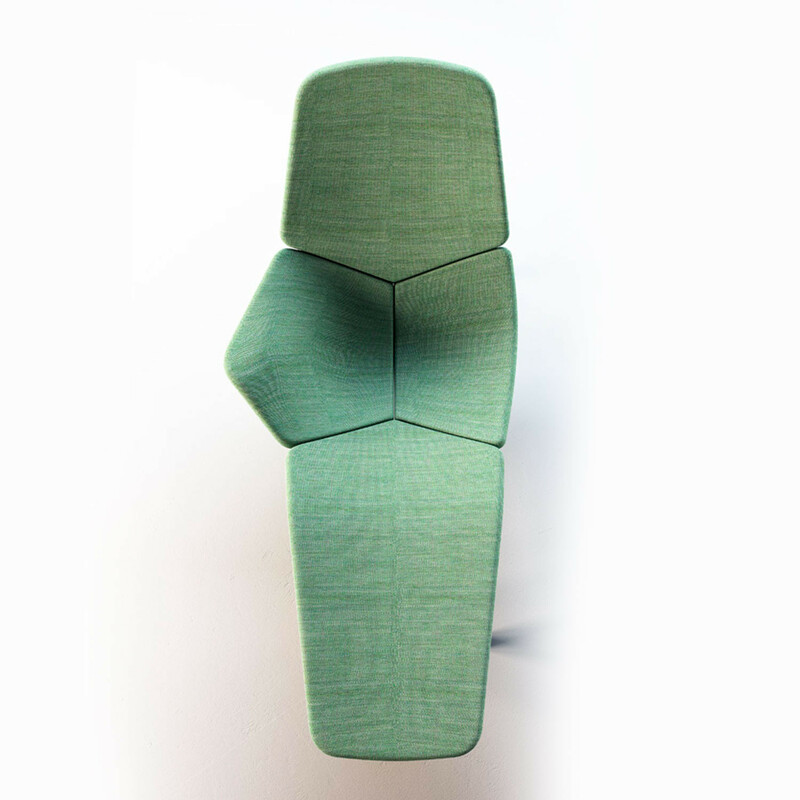 To add "Atoll Chaise Longues" to an existing project please select below.